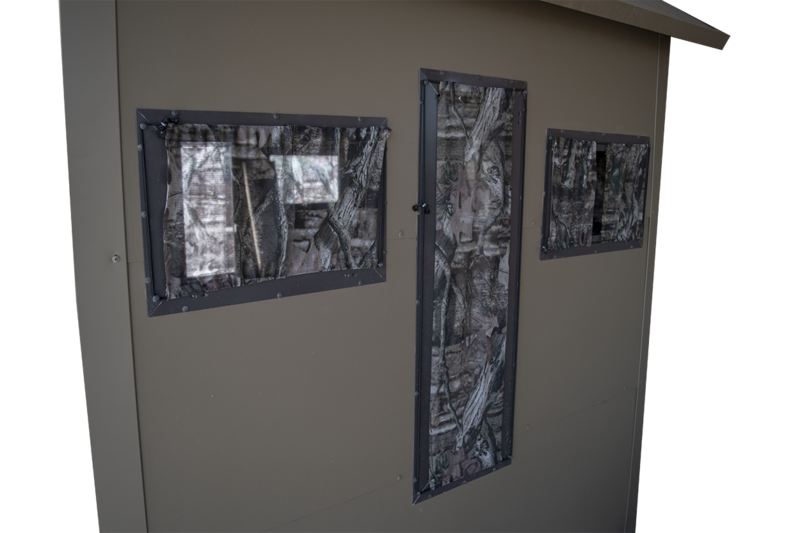 Camo curtains made with see-through material for viewing outside the blind allowing some coverage inside the blind. The curtains go on the outside of the blind using a bungee cord system to secure in place. Curtains slide from side-to-side on a cord.